A year ago, Tina Zhang, looking to open a new restaurant, drove by the remains of Fantastic Kids Toy Store at 50 Middle Neck Rd. Analyzing the area, Zhang found that Great Neck, with a growing Chinese population, would benefit from an authentic Chinese restaurant with traditional options and a modern decor in the center of town. And, within a year, the empty toy store transformed into a brightly lit, spacious restaurant with an extensive menu and pleasant staff. 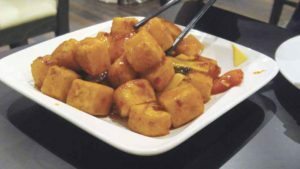 New Fu Run, the newly opened eatery under the same ownership as Fu Run Restaurant in Flushing, hopes to impress local food enthusiasts with traditional Chinese fare in a contemporary setting. The establishment offers an inviting atmosphere, with modern black tables, wooden floors and tall white walls, adding to its clean look. Each element seems painstakingly arranged: white teacups and black chopsticks lay perfectly straight on every table, red lanterns hang from the ceiling, small plants sit on every counter and traditional art adds contrast to the less-conventional decor. The waitstaff greets customers with a smile and educates them on the menu, which may seem foreign to some. 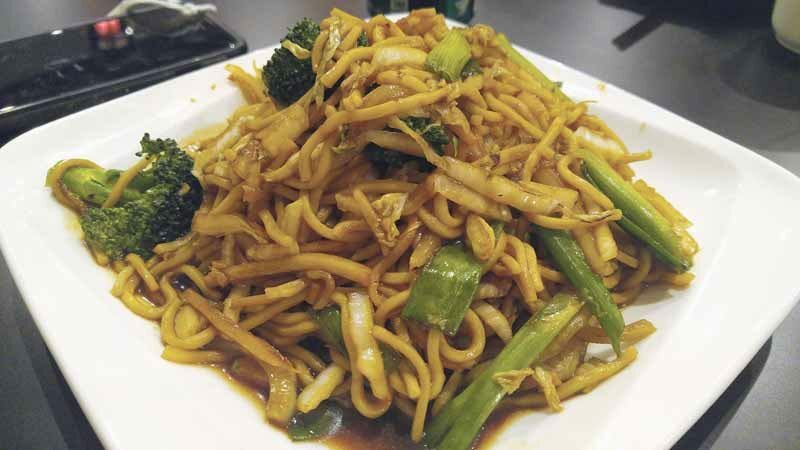 While diners can find American-Chinese classics like lo mein or orange chicken, a significant portion of the menu features ingredients rarely used in other cuisines, such as jellyfish, kidney and stomach. Appetizers range from handmade dumplings to Chinese pancakes filled with tender beef to cold pork in a spicy red sauce. Family-size soup appetizers include favorites like pork chop and cabbage or lamb meat. New Fu Run has a massive seafood selection, with numerous squid, shrimp and yellow fish dishes, as well as a few delicacies like sea cucumber, a caterpillar-like marine animal. In addition to seafood, proteins like chicken, lamb, beef and pork are prepared in every sauce imaginable, from spicy chicken with Sichuan pepper to pork in a heavy gravy sauce to dry cumin lamb. Vegetarian-friendly entrées are also prevalent, including many tofu options, baby cabbage and Chinese watercress. Noodles make up a small portion of the menu, featuring basic sautéed noodle dishes and hearty soups with bok choy. Prices are reasonable since portions are rather large. Appetizers range from $7 to $16, seafood dishes range from $15 to $35, poultry and meat range from $13 to $19, vegetables range from $12 to $15 and noodles range from $8 to $13. 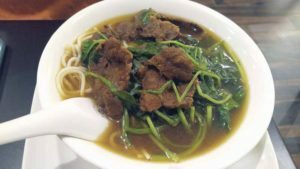 On a recent visit, my table tried the beef noodle soup ($8.95), which had a very nice herbal taste. The beef was cooked perfectly and the noodles were rather thin and plentiful. Braised tofu in a mild red sauce ($12.95) was beautifully executed, with the semi-sweet sauce complementing the subtle flavor of the soft tofu. 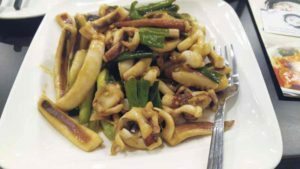 The sautéed squid with ginger and scallion ($14.95) was the best dish of the night: The squid was not chewy but had a rather soft texture, the ginger sauce was slightly tangy and the scallions added a nice crunch to the dish. Although there may be a slight language barrier, the authenticity of the recipes, the quality of the ingredients and the staff’s attention to detail make this restaurant a new standout in Great Neck. In an area where Japanese and Thai restaurants are the norm, the mixture of heartfelt cooking and a simple, inclusive ambiance allows New Fu Run to bring a pleasant Chinese dining experience to adventurous diners.